The study of Drosophila (fruit fly) phototransduction is a basic research which has been shown time and time again to have implications for applied research. In this case, the Drosophila TRP channel is the prototype of the TRP superfamily which is found in the mammalian body to serve many functions, e.g. sensors for temperature and various senses in taste. As our future grows and gets more involved in artificial intelligence (AI) to serve humans, my question is how can basic b research contribute to the AI development? Biological systems usually involve signal transductions from one protein to another in a chain reaction involving several proteins. In order for signal transduction to be under control, feedback regulations are present in almost all steps. Artificial intelligence depends on programmers’ abilities to develop efficient software programs which involve flow charts of different possibilities for a particular task. Each possibility will have to be well-defined and feedback loops are involved. I postulated that there were analogs in the biological systems that could be used as design models for algorithms used in AI. The target audience for this paper is non-biologists. From the perspective of a biological system, a well-controlled response possesses several characteristics. It has a short latency (with little delay) of activation. It has different response amplitudes and rates to reach the peak responses, depending on the strength of the stimuli. It can reduce response amplitude (inactivate) during a prolonged strong stimulus so as to avoid depletion of materials. It can terminate (deactivate) effectively when the stimulus is lifted. Both fast activation and fast deactivation are required for an organism to have a good temporal resolution (be able to respond to two or more short successive stimuli with clearly distinguishable responses). It allows adaptation to background information, in this case background lighting. It allows re-cycling of materials for successive responses for a long time, e.g. a few hours or longer. It also needs to allow flexibility of the system to increase sensitivity for very low intensity stimuli and reduces sensitivity for strong intensity stimuli. Thus, nonlinear scaling in response at the two ends of the stimuli spectrum, either too dim or too bright, prevents system failure. There should be sufficient supply of energy. From what we learnt, fruit fly phototransduction possesses all of the above properties and in particular it is very well adapted to provide good temporal resolution. The current organization of the Drosophila photoreceptor system was achieved through evolution by natural selection, and it is well worth studying to understand the functional principles it can lend to designing of analogous systems in AI. Leung et al. described the experiments and discussed the results of some of Drosophila phototransduction regulations. Here, we describe the major regulations of fruit fly phototransduction for the general public. A brief account of fruit fly phototransduction and its major organization is given first. Fine details are missing for the sake of simplicity. The names of the molecules are mentioned but these can be generalized by using molecules 1, 2, 3 etc… Upon absorption of a photon, rhodopsin (inactive) is converted into metarhodpsin (active). Metarhodopsin activates G-protein/s. Each activated G-protein turns on a PLC to break down PIP2 into IP3 and DAG. DAG then somehow opens the TRP and TRPL channels to activate the photoreceptors. TRP channels play a major role in the activation of fruit fly photoreceptors while TRPL channels are particularly important for the adaptation response of photoreceptors to background lightings. The activated photoreceptor sends a signal to the brain of the fruit fly. Organization-wise, rhodopsin is surrounded by G-proteins which are in close proximity to PLC. A signaling complex involving PLC, INAC, and TRP is organized by INAD, a scaffolding molecule. PLC is surrounded by PIP2. Regulations of the photoreceptor response come at many levels. The first level of regulation is the duration of activities (half-life) of metarhodopsin. Phosphorylation of metarhodopsin reduces its activities and increases its binding to arrestin to terminate metarhodopsin’s activities. The condition for metarhodopsin phosphorylation and availability of arrestin vary, giving the metarhodopsin a slightly variable half-life under different conditions. Since each rhodopsin is surrounded by several G-proteins, a variable metarhodopsin half-life would mean that a metarhodopsin can activate one or more G-proteins, depending on the conditions. This variable half-life could allow fruit fly photoreceptors to have higher sensitivity to even a single photon and lower sensitivity when the eye is exposed to full sunlight. The second level of regulation is the interaction between G-protein and PLC. The G-protein binds to and activates a PLC which in turn terminates the G-protein activities. Thus one G-protein activates one PLC molecule. PLCs are located near G-proteins. When the activation site on the PLC molecule is altered, latency of the response will be lengthened. The third level of regulation is on the PLC molecules. PLC has to be localized in the right place to allow photoreceptors to give a response. The way a fruit fly handles that is to link PLC to a complex. PLC, INAC and TRP are found in a signaling complex organized by INAD. When PLC is not bound to INAD, there will be no photoreceptor response. Secondly, the PLC enzymatic rate proportionally determines the activation rate of the response. Mutants with a reduced enzymatic rate show a slower response activation rate. Moreover, the more PLCs are activated, the faster the response activation rate. The fourth level of regulation is on INAD. When INAD is phosphorylated by INAC, the response would quickly deactivate upon the termination of the stimulus. Most likely, phosphorylation of INAD is required for it to organize the signaling complex in the correct configuration for a proper response termination. The fifth level of regulation is on the TRP channels. TRP channels are being regulated by a) INAD binding, b) calcium dependent inactivation, c) INAF binding, and d) INAC phosphorylation. When unbounded, TRP will be mislocalized and degraded quickly. When calcium ion concentration increases, TRP channels will be inactivated. This is crucial during prolonged strong light stimulus because if TRP activities remain robust, the concentration gradients of ions would be reduced. The consequence is that the photoreceptor will have a long refractory period (long recovery time for a second response). Without INAF binding, TRP channels would be degraded and their function hampered. And without INAC phosphorylation, the TRP channels would deactivate very slowly, messing up the temporal resolution of the photoreceptors. The sixth level of regulation is on the photoreceptors’ ability to adapt to background lighting which refers to the photoreceptors’ ability to modify its responses according to different background lightings; the brighter it is, the smaller the response to the same light stimulus. Fruit fly photoreceptors achieve that by having three regulations: the first one is INAC phosphorylation of TRP channels, the second one is calcium ion dependent inactivation of TRP channels, and the third and more important factor is the translocation of TRPL channels. When TRP channels are not phosphorylated, they presumably close slowly to give a slow deactivation. When TRPL channels translocate during bright background lighting, they remove themselves from contributing to the photoreceptor response. The goal of fruit flies is to avoid predators and navigate around leaves and branches at a fairly high speed. To achieve this they need short response latency (<10 milli-seconds), which can be easily achieved in an AI system. The more challenging task would be to have a good temporal resolution. From my preliminary studies using a stroboscope, my estimation is that a fruit fly is able to give clear distinguishable responses even at 50 Hz of stimulus frequency. That is close to the limit of the system because the time for every step of phototransduction adds up. There are other regulatory mechanisms of the biological system, such as the recycling of PIP2 and calcium ions, energy requirement etc., that are less crucial in an AI system. I would like to thank Dr. Hector Douglas and Jamie Leung for their comments and editing on this perspective. H.-T. Leung, S. Shino, E. Kim. The regulations of Drosophila Phototransduction. J. Neurogenetics, 26(2): 144-150. Dr. Hung-tat Leung is an associate professor of biology. He earned his Ph.D. in neurobiology from the University of Southern California and conducted research as a postdoctoral fellow and scientist at Purdue University for 12 years. He has published 23 peer-reviewed articles. He combines genetic and electrophysiological techniques to investigate Drosophila photoreceptors and synaptic transmission. He also makes double mutants to study interactions among genes. PERSPECTIVES aims at bringing the exciting world of science to a larger audience who may not have the requisite knowledge to understand complex and technical research findings as those published in conventional journal articles. 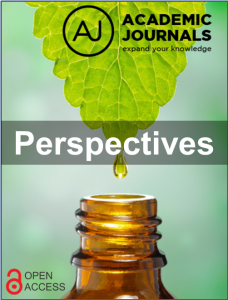 Perspectives articles are very simplified and summarized version of scientific researches. These articles tell a simple story about the research, the findings and their applications in such a manner that the article is understood by people who do not have the requisite background knowledge on the subject.